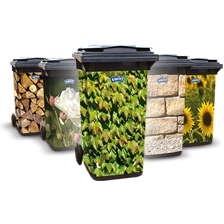 Swirl® Eco Bin Liner protect the environment, because they are made of 95% recycling material. Due to the special material processing, the bin liners have a stable tearproof film. The drawstring can be used as a practical handle when the bag is closed.